Grit, not gore makes Amelia Bullmore write on. 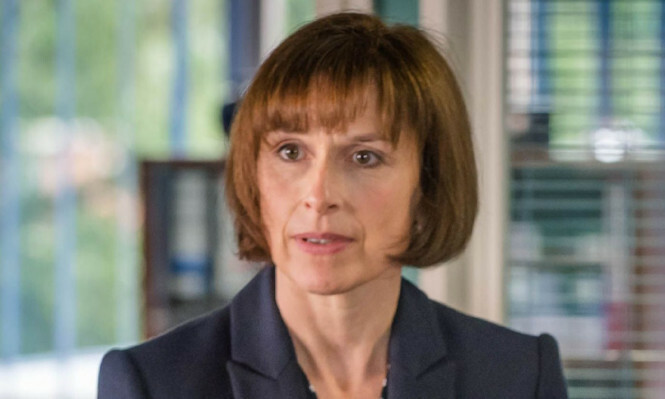 Scott & Bailey star Amelia Bullmore is showing she has the write stuff in the new series. As well as playing top detective DCI Gill Murray, Amelia has penned half of the eight episodes in this new run that kicked off on ITV last week. “I’ve written as well as acted for 19 years now so I don’t see it as a shift from one to the other,” explains Amelia. “I love doing both and I hope to continue mixing them, but Scott & Bailey is the first time I’ve actually written for something I’m in. “What makes it more straightforward than it might appear is that I didn’t devise the series. I was thrilled to get a part in the show at the beginning and then to be asked to write for it. Amelia says stars Suranne Jones and Lesley Sharp give feedback on how their characters would speak and act. But one piece of writing did cause her some concern. “I felt bad recently when I wrote a character launching a foul personal attack on one of the detectives, Pete Readyough,” she admits. The Manchester-set cop shown is going from strength to strength. “People tell me they appreciate that it’s gritty without being gory,” adds Amelia.